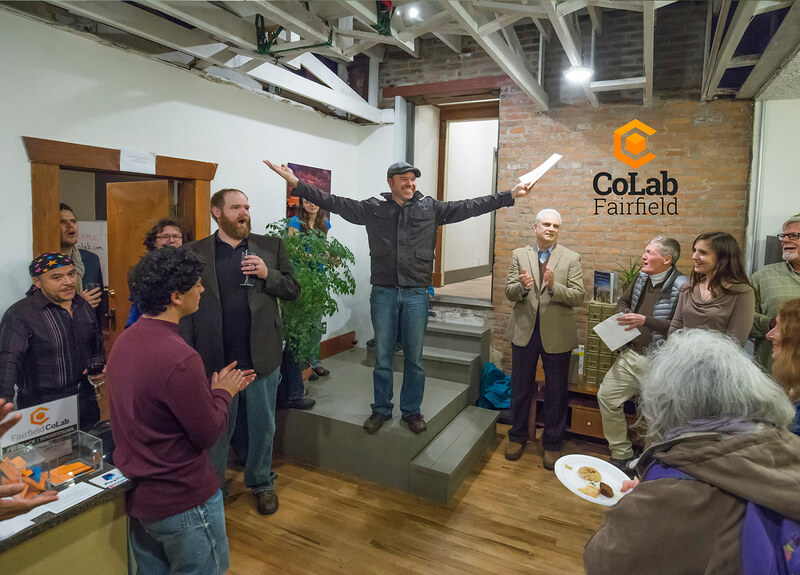 Fairfield CoLab – The Fairfield CoLab is a shared workspace that incubates connectivity, productivity, and creativity. We offer FREE COWORKING at the Fairfield CoLab, every 3rd Thursday! We’ve Got More Than Just Fast Internet, Great People, & Lots of Coffee! Hang out, refuel take advantage of cool atmosphere, great people and roasted stimulants. Full separated conference room with presentation equipment. Book anytime if you’re on a monthly plan or pay by the hour. Keep your secret agent phone conversations private in a separate phone room. We’re in Fairfield, and we have the hook-up. You will not be able to scroll through instagram fast enough. Find a free seat in the open Colab, reserve your own desk where you can keep your equipment or go for a full private office or office suite. Productive, energetic environment that isn’t your basement. Come for focused work or to meet people like yourself. If you pay for a monthly plan, you get really cool security access so you can use the space whenever you want. Workshops on loan programs, financial services, business plan support, gov/biz representation, networking and more. We fully support the library, but we’ve got that stuff too. So if you need to print, scan, or, for some insane reason, fax, why leave the office?